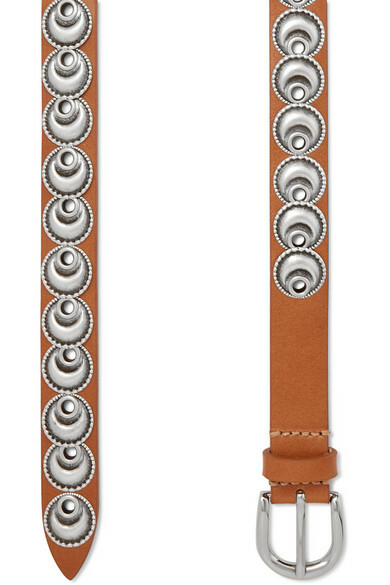 Isabel Marant's 'Zappi' belt is made from smooth tan leather and embellished with a row of eclectic burnished silver disks. Wear it with high-rise jeans and a tee, or use it to cinch an oversized blazer. Shown here with: Isabel Marant Shirt, Leigh Miller Earrings.